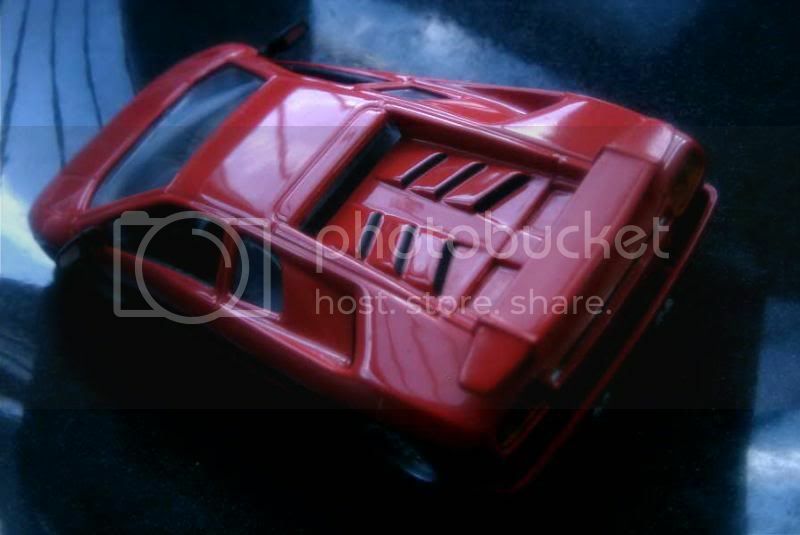 In 1985, Lamborghini decided to replace its most iconic automobile, the Countach. Temporarily dubbed Project 132, the new car was to reach 315 kph, establishing itself as one of the fastest cars in the world. On the outside, penning its body was entrusted once again to famed designer Marcello Gandini, to whom had been credited most Lamborghini designs up to then. Alas, development was slowed down by Lamborghini’s serious lack of funds. Having narrowly escaped a bankruptcy, the Sant’Agata company was still in poor shape by the Eighties. Then, Chrysler entered the stage. The American giant too had closely avoided its ruin, turning the tides around 1980 with successful vehicles such as the L-platform cars (Plymouth Horizon and Dodge Omni) then the K-Cars (Plymouth Reliant and Dodge Aries). 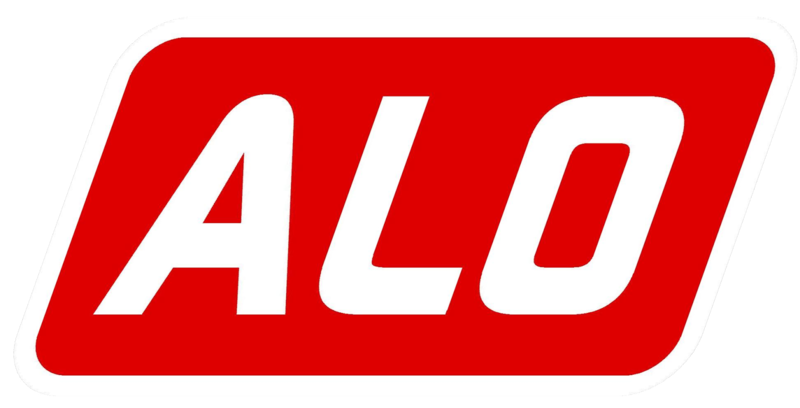 Though it had just sold its many branches overseas, it was willing to add a little prestige to its name by investing the cash it had lacked for so many years into the purchase of a reputed European auto maker. 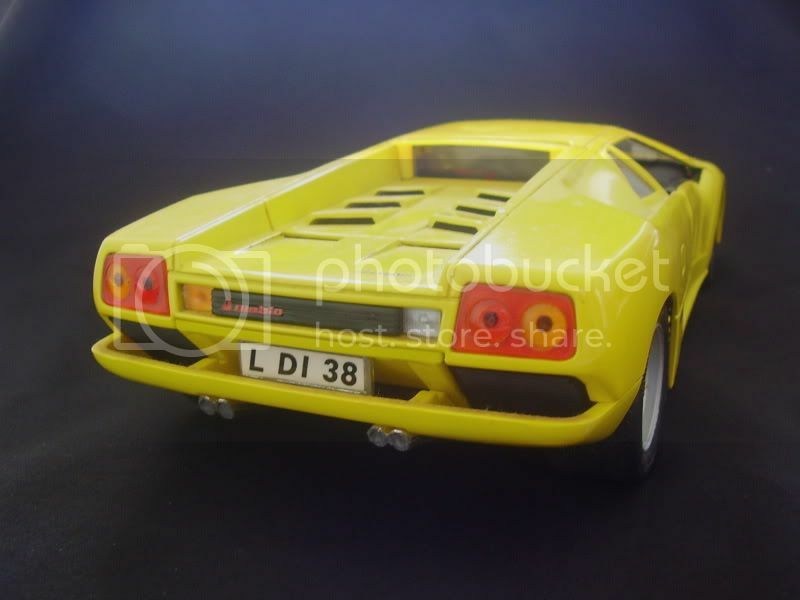 Lamborghini’s takeover took place in 1987, and though the Italian company lost its independence in the process, it insured that it would have sufficient budget to complete its Project 132. This was achieved, but not without having Chrysler’s management interfere with the car’s development. Marcello Gandini’s radically angular body displeased the American executives, so Chrysler’s designers drew a heavily modified body for the car, which ended up being much more curved and rounded than intended. Dismayed, Gandini left with his drawings and put them to good use to create the Cizeta-Moroder V16T. 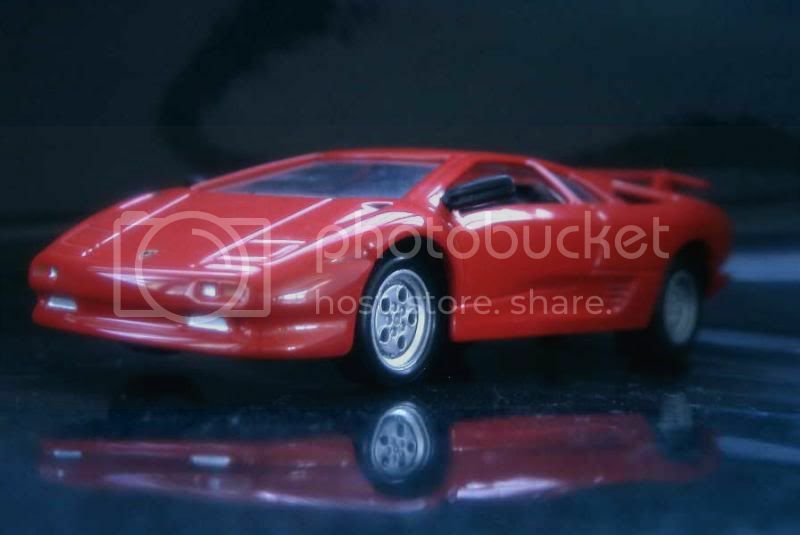 The new Lamborghini finally appeared in January 1990 at the Detroit motor show, under the name Diablo. Though its engine was the well-known 5.7-litre V12, this time rated at 492 hp, the car exceeded its initial goal and could reach an impressive 325+ kph. 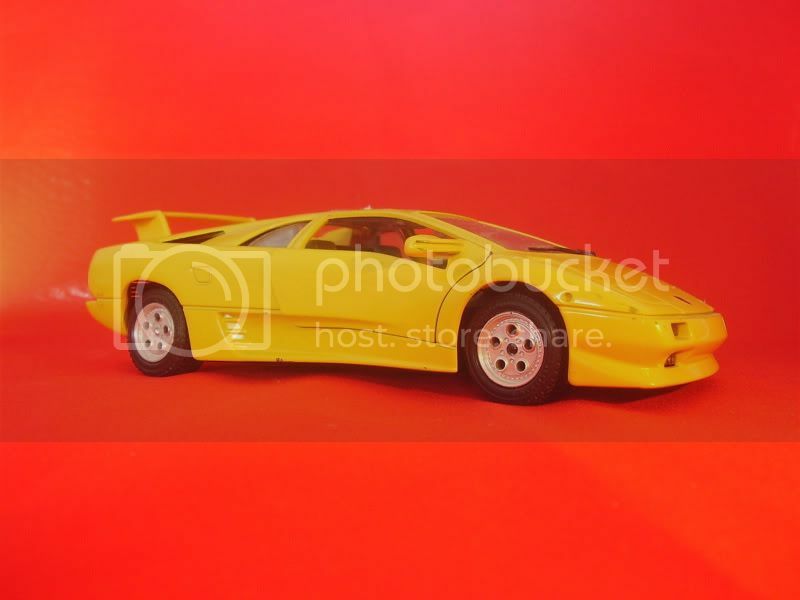 Compared to the departing Countach, the Diablo was also designed to be a much more comfortable GT and not solely a performance-oriented machine, so it came with a long list of optional equipments, though the base model remained relatively spartan. The early Nineties were a time of severe competition in the supercars field, with many projects from both established companies and newcomers. Lamborghini could not afford to wait too long to update its Diablo, which was done in 1993 with the introduction of the VT. The new variant enjoyed an all-wheel-drive transmission which was based on the experience gleaned from the LM002 off-road vehicle, a new suspension, improved brakes, a new dashboard and a wide array of minor modifications. The car came standard with air-conditioning but, surprisingly, still had to wait for an ABS system. 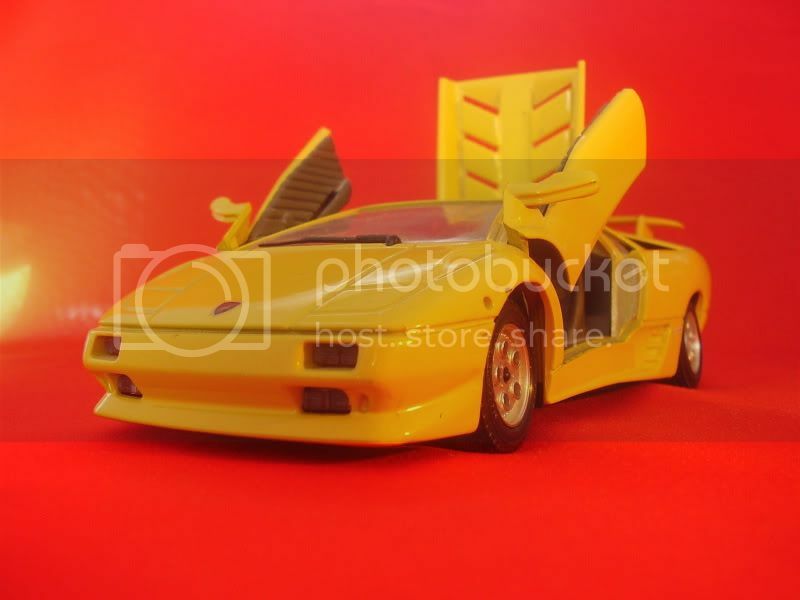 The Lamborghini Diablo’s range was widely augmented during 1995. The year saw the introduction of a long-awaited VT Roadster, and a new version fitted with a conventional rear-wheel-drive transmission, the SV. Finally, after Chrysler sold Lamborghini to the VAG group, the Diablo was facelifted, receiving a front end treatment that was somewhat reminiscent of the Bugatti EB110, ironically another Marcello Gandini creation. It also gained a V12 engine enlarged to 6.0-litre and good for 550 hp, and a modified all-wheel-drive transmission… which wasn’t necessarily an improvement over the previous version. 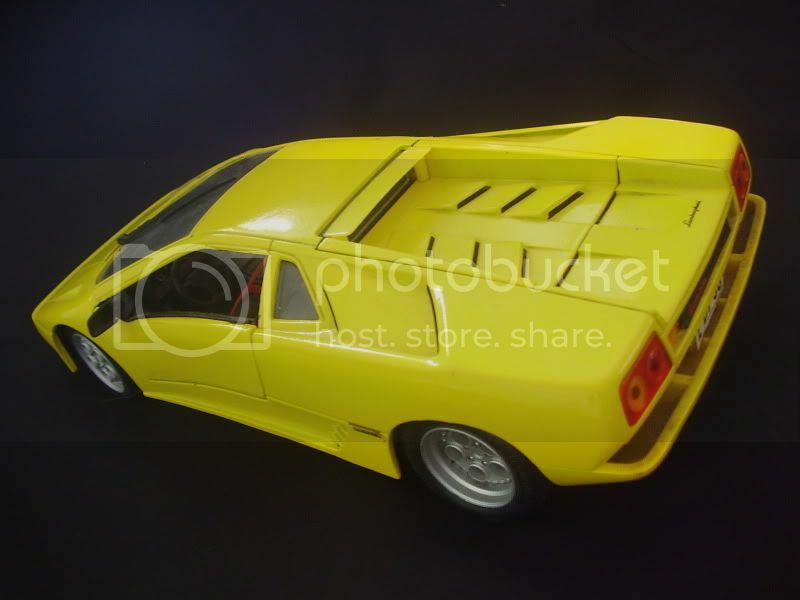 Under this latest guise, the Diablo was produced until 2001, when it was succeeded by the Lamborghini Murciélago. 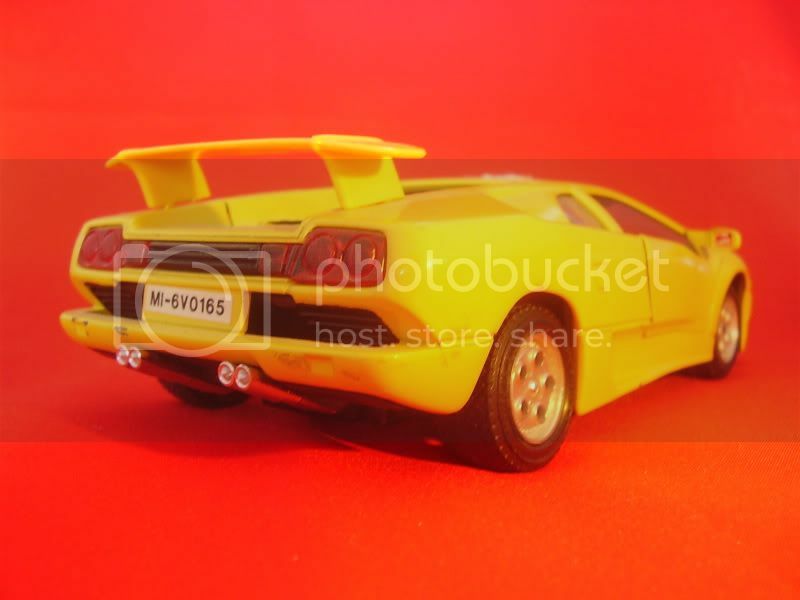 This is a correct yet inexpensive model of the Diablo. Nothing extraordinary about it, and furthermore the thick plastic-made harnesses fitted to the seats somewhat spoil the passenger compartment, but still worth a 13/20 rating. 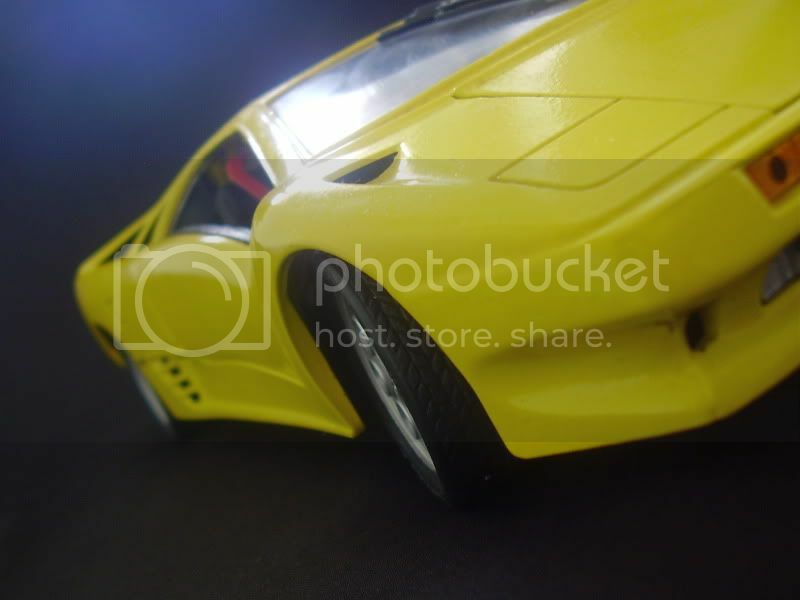 This die-cast is simple, even toy-ish perhaps, but correct enough and extremely cheap. Bburago has always had a problem with the width of its tyres, which the Italian brand represents much too wide, but it’s obviously not really an issue with this particular model. My rating is 10/20. 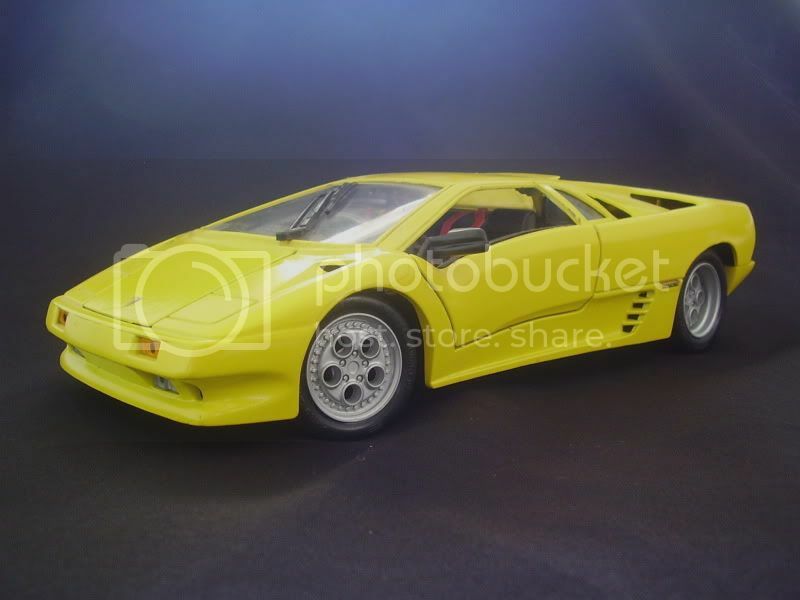 Del Prado has offered a surprisingly agreeable model of the Diablo – this cannot be said of all die-casts proposed by the Italian distributor. This effort is certainly worth 12/20. This car is one of my favourits! It belongs to my teenager memories, lol! 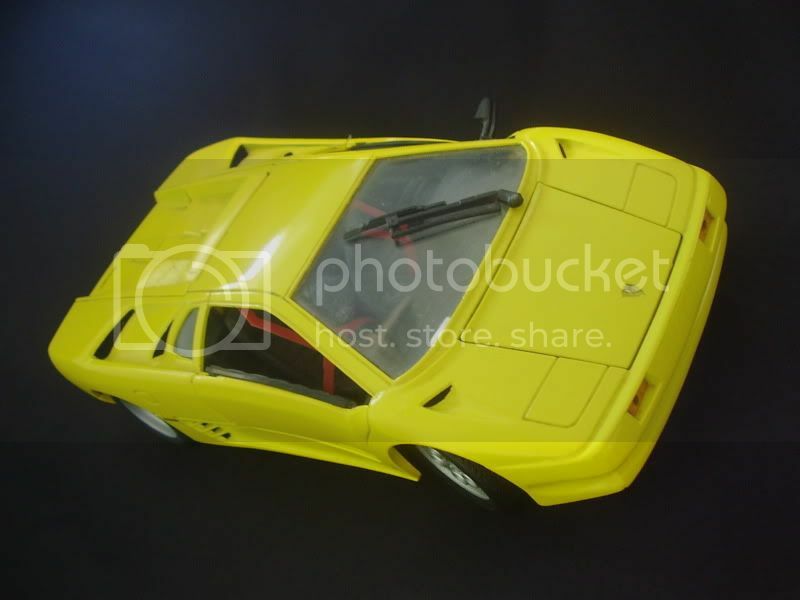 very nice the countach and amazing story (i did not know about the "chrysler cizeta moroder affaire". talking about little cars, i have the 1/43 bburago in light violet, rather toyish but nice. the best diablo of my collection comes from detail cars in italy. opening doors and an excelent quality/price ratio. 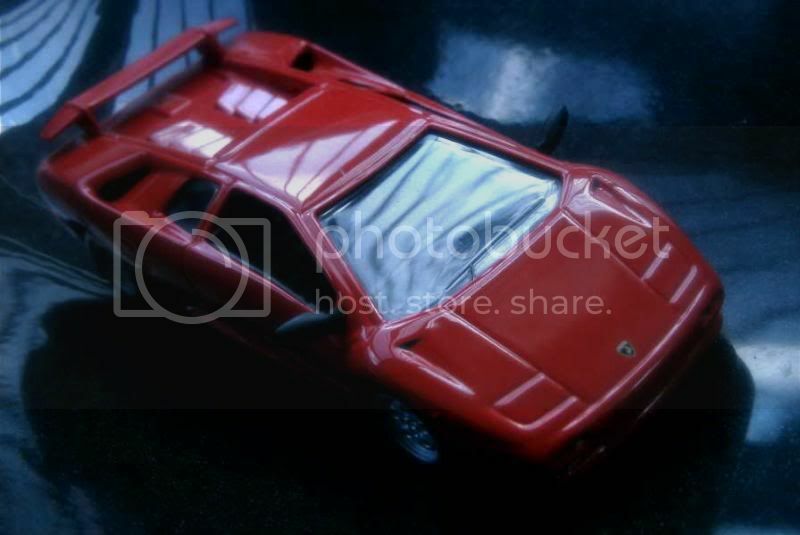 El Diablo y el Countach son los dos Lamborghini más bellos en la historia. Al menos para mi gusto. 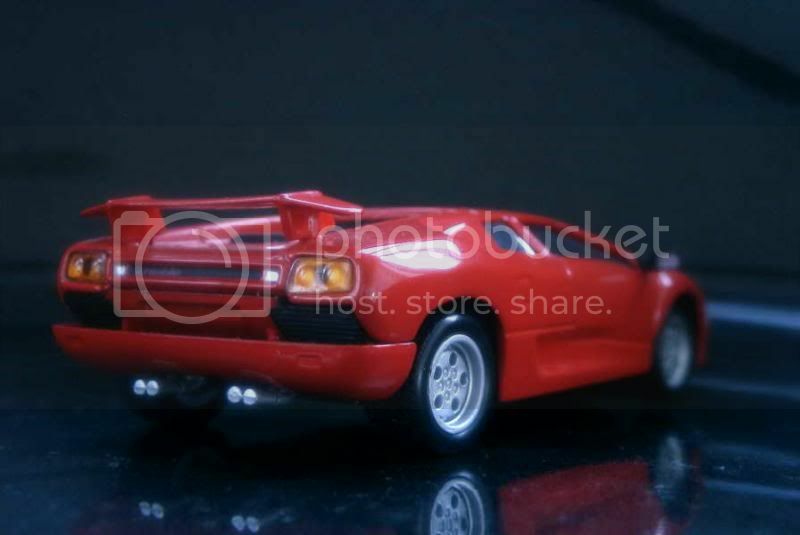 The Diablo and the Countach are the two most beautiful Lamborghini in history. At least for my taste. The Bburago is in 1/24 actually. I agree with you, Detail Cars used to make some nice models (and some... less nice). True to their name details were great, particularly when considering the price. Alas, the workmanship was often poor. I used to like the Countach as a child but... today I'd say the Espada and the 350GT are my favourites. It seems that I prefer luxurious, fat coupes to supercars. Regards to all of you !